Spent four seasons with the Buccaneers as a pass rush specialist from the right end and became more of a regular starter in the 2009 season. Was the feel-good story of the 2007 season as he came from nowhere to not even just make the team but end up leading it in sacks with eight. Was a former Arena League Defensive Player of the Year who was recommended to the Bucs by Jay Gruden who had coached him in the indoor league. 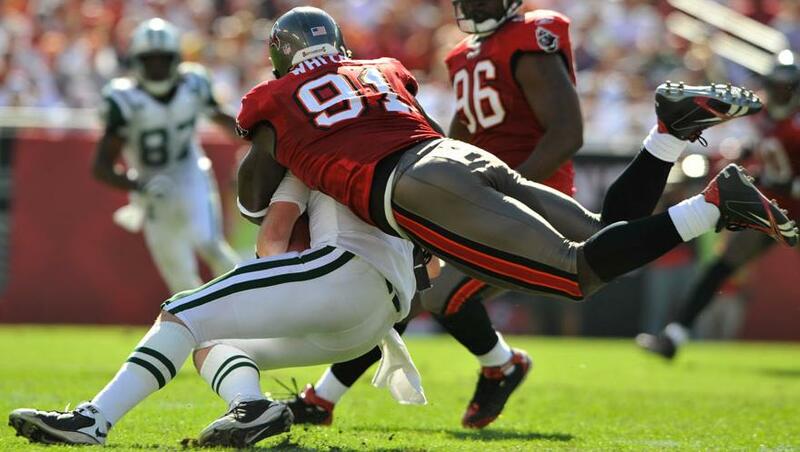 Was previously in Buc camp in 2002 but did not come close to making the roster. Changed his name from Greg to Stylez G (after the character from Teenwolf) in 2008. Never played in the NFL again after leaving Tampa.